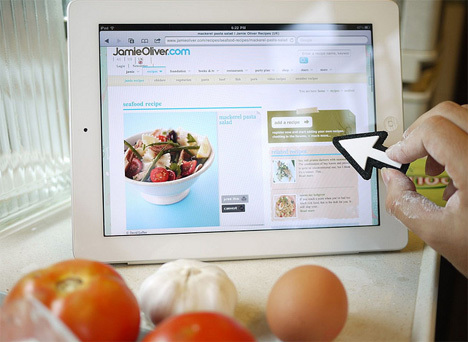 Most of our devices are moving away from physical buttons and trending toward touch screens. This is good if you happen to like touch screens, but what about those of us who miss the familiar cursors fluttering around the screen? The Big Big Cursor is a humorous throwback to simpler times when that pixelated arrow was your connection between the physical world and the digital workspace on your computer. 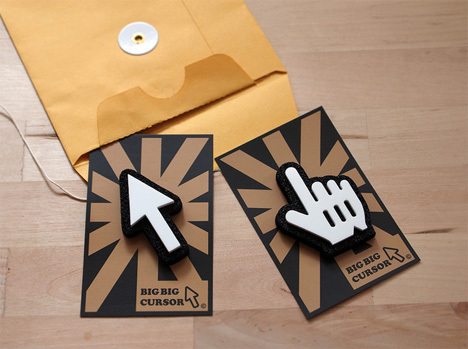 The cursors, which are actually fun-shaped styluses, come in arrow or pointing hand shapes. They aren’t just for laughs, though – they really do help keep your pristine touch screen free of fingerprints, dirt, and that chocolate/Dorito sludge that seems to always be on our fingers. 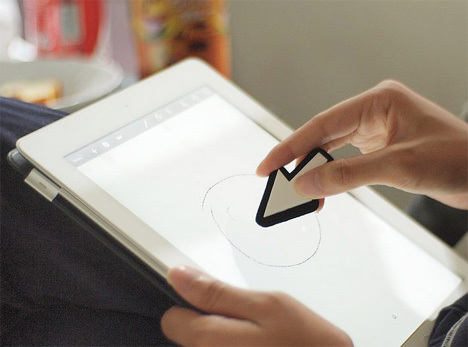 Designed by Mike Mak, the styluses are magnetic so they can stick to the frame of your iPad or other metal surfaces. 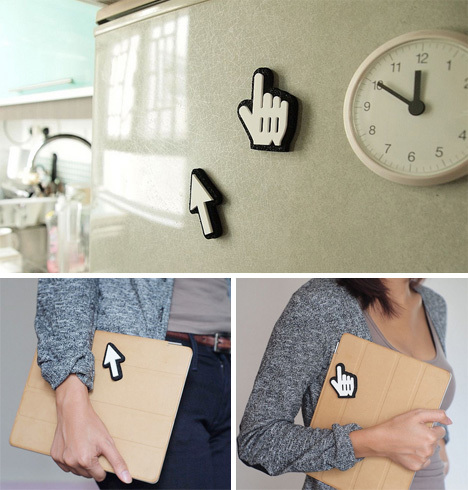 As cute and funny as these products are, we can’t help but imagine the wicked hand cramps we’d get after grasping those non-ergonomic shapes for a few hours. See more in Computers or under Gadgets. November, 2011.